I had plans to meet a friend for lunch one afternoon at Taling Pling, a popular staple restaurant in Bangkok. There are half a dozen outlets in the city and it’s a well known and reliable brand that is popular among many. 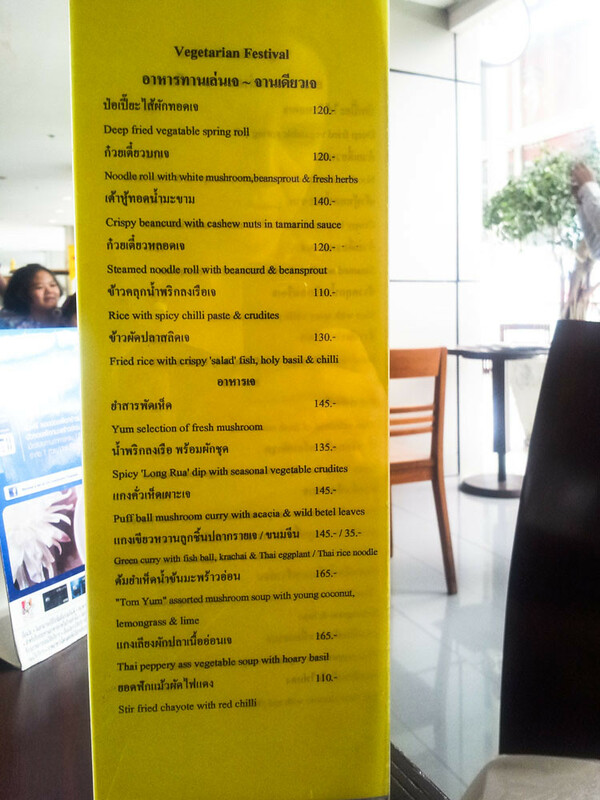 While the business doesn’t normally have a dedicated vegetarian menu, during Thailand’s vegetarian (jay) festival they put together a separate list of veggie friendly offerings. Maybe have a thorough read of the 2012 menu. Anyway I spent all of lunch excitedly talking to the friend I see no more than once a year, if that, so I didn’t actually take any notes to accompany the pictures. What that means is you get to look at some pretty food without much description. The chayote leaves were smoky and simple, a great accompaniment for the bolder tofu dish I’d ordered. The bean curd was one of the most inspiring plates of food I sampled on this trip. Thais do magical things with the texture of tofu, and this was an example of how perfect tofu should be – smooth and soft on the inside with an everlasting crispy exterior, coated in a sweet and tangy sauce. I’ve made many variations of this in my home kitchen since.